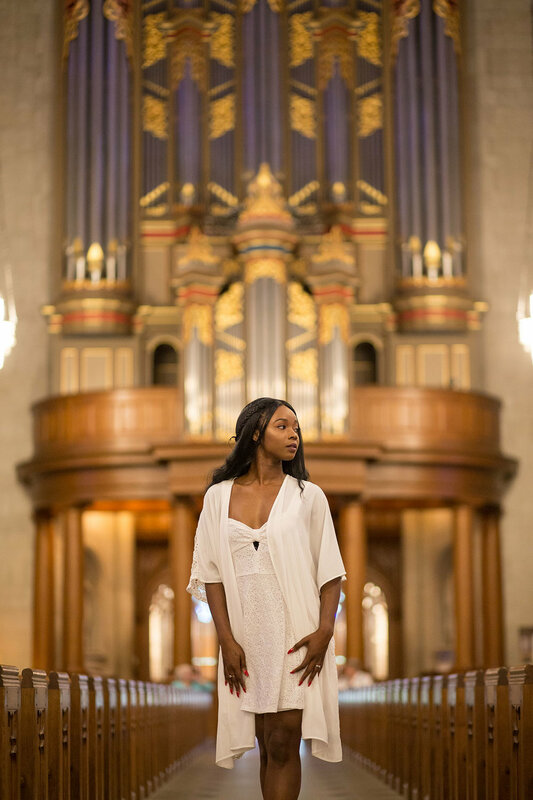 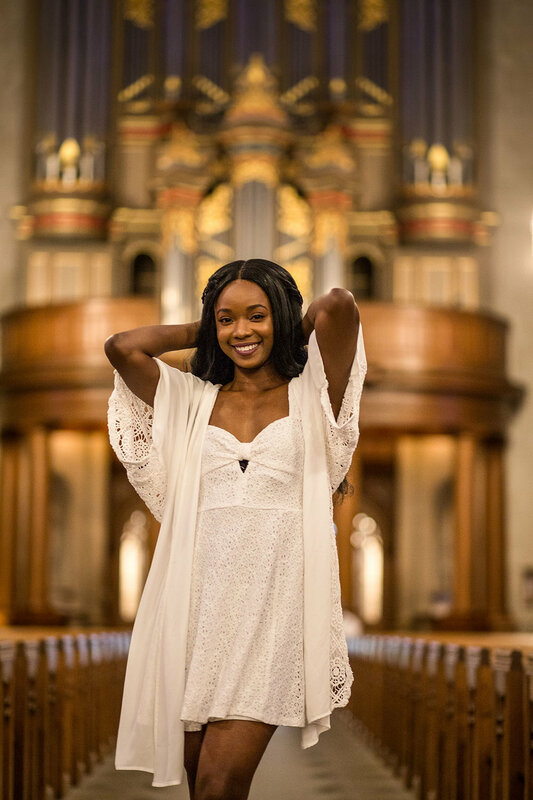 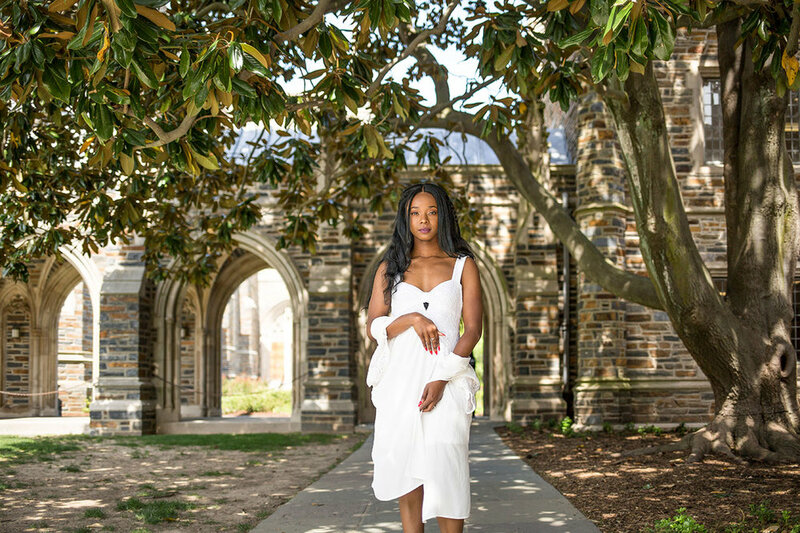 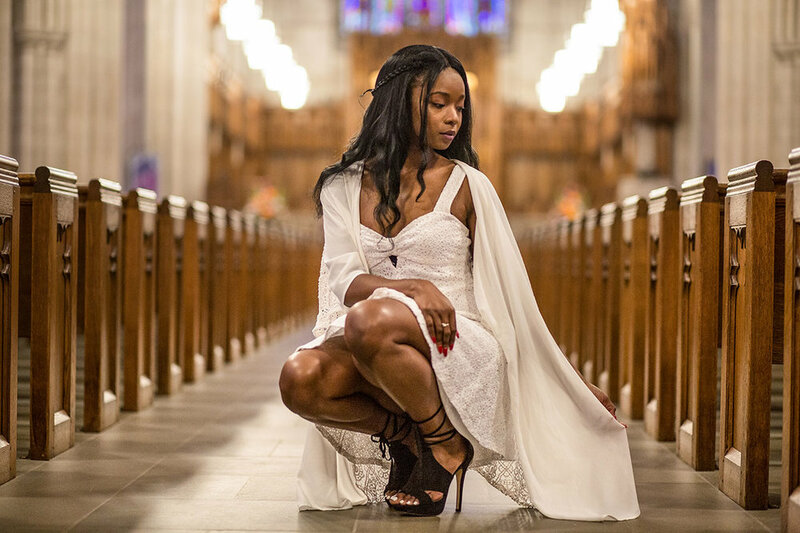 The gorgeous Shonna met me at Duke University Chapel in Durham NC for this absolutely lovely bridal styled white dress photo session. 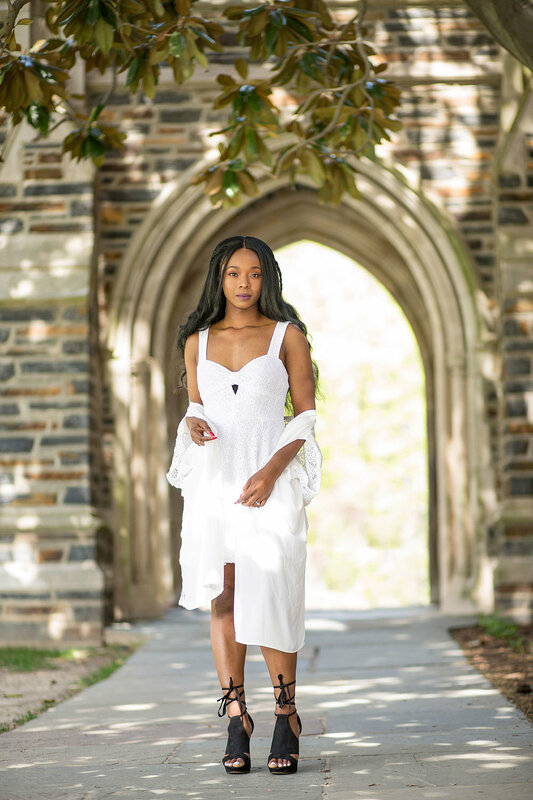 North Carolina was one of favorite places to visit on our East Coast trip, and I was so excited to be able to make my dream of shooting at Duke Chapel a reality! 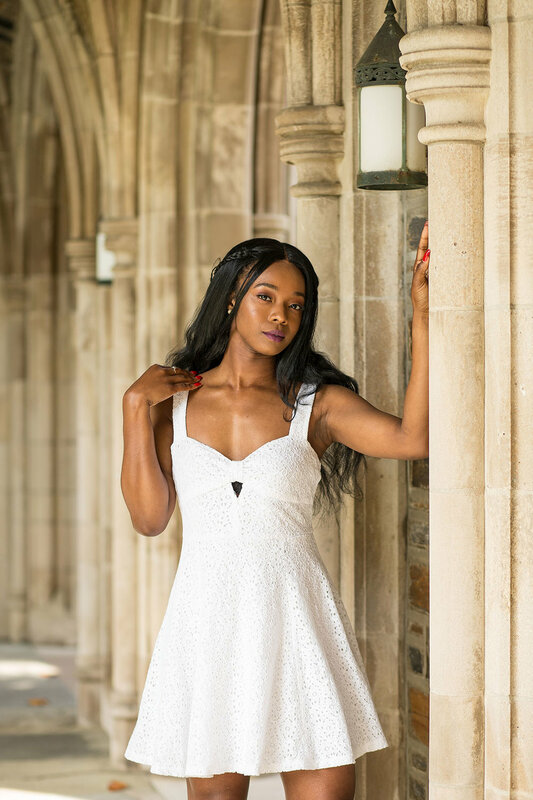 Shonna rocked this tea length white dress, don't you agree? 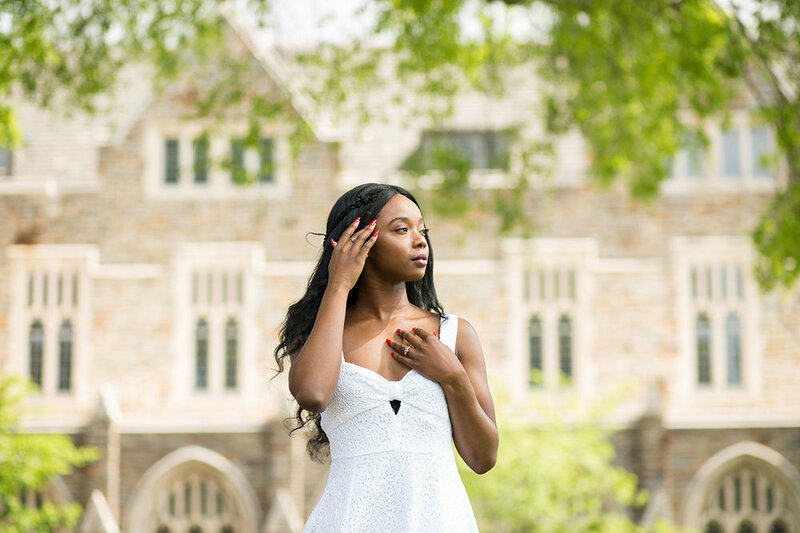 Perfect for a bridal shower or a bachelorette lunch.